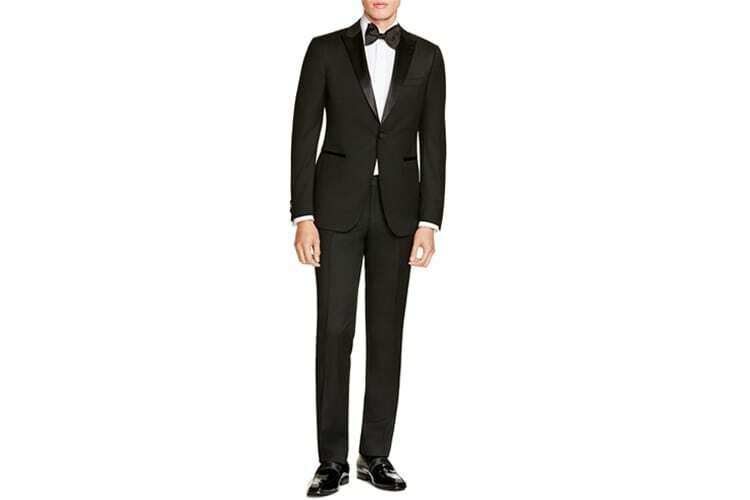 While we love the midnight blue tux, there’s no denying that the standard black tuxedo is essential. It never hurts to be prepared for black tie, no matter the occasion. But “standard” doesn’t have to mean “boring.” There’s a black tuxedo for every type of guy, and we’ve put together some of our favorites. 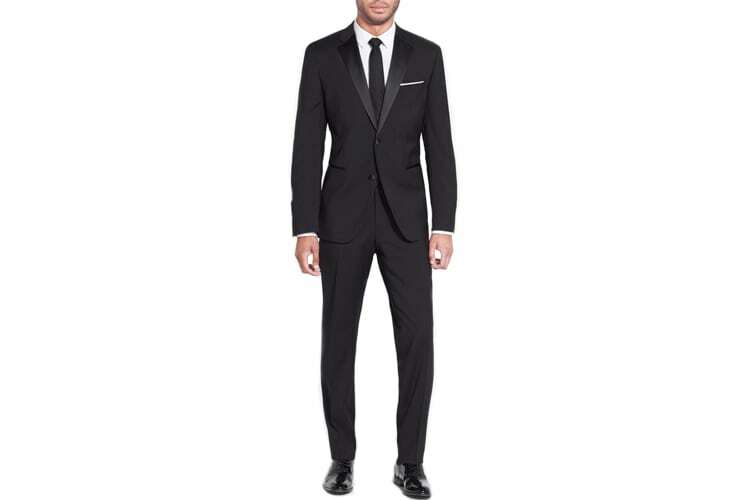 With sturdy-yet-soft shoulders, this tux will slip on as easily as your favorite suit. The notch lapel, flap pockets, two-button jacket, and pants with belt loops keep it feeling comfortable and familiar. Pair this with a high-shine black oxford: forego the patent leather. 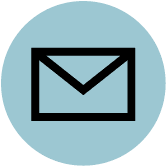 If you are looking for something substantial and stylish, but want to stay below $1,000, here’s your best bet. This fully lined jacket make it a perfect tuxedo for any season, and the classic details—such as those front welt pockets—make it a perfect tuxedo for any decade. Sometimes less is more. Having only one button may not seem like much of a difference, but it is a detail that sets formal jackets out of the more casual crowd. This single button jacket from Z Zegna, paired with slim-peak lapel and welt pockets, makes for a dashing example of what can achieve by not over thinking it. Sleek, stylish, and most of all, simple. 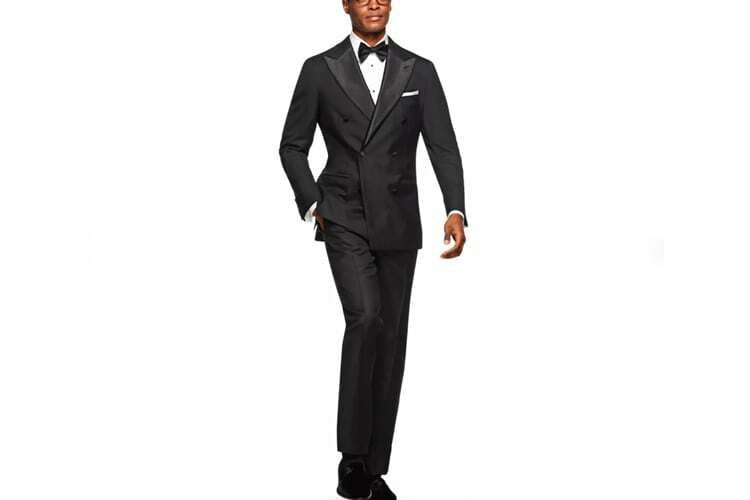 This tuxedo’s classic suit construction – flap pockets, two-button – is enhanced by elements like the moderate satin peak lapel, and the slim yet stand-out satin stripe down the side of the trousers. 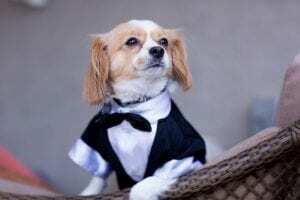 This is a tuxedo even the most timid groom could can get used to. A great option for guys with a little more stature than most. If you’re going black tie, then your dad is too. 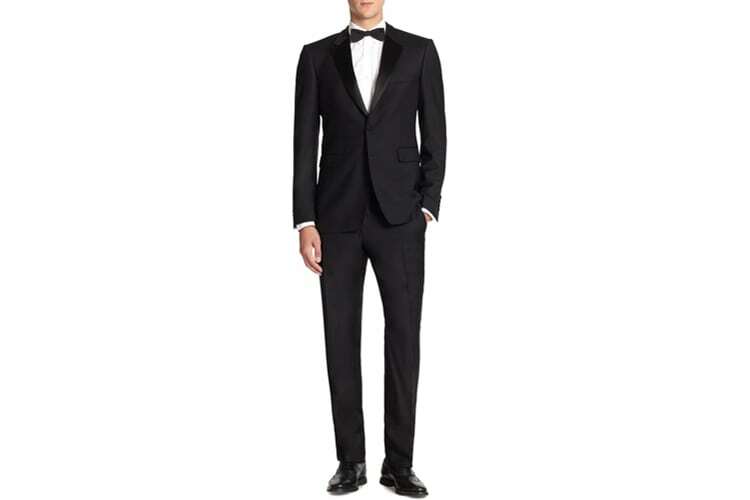 A tuxedo with options, like this one from Lauren Ralph Lauren, combines the mature elegance of Ralph Lauren with the affordability of… well, not Ralph Lauren. You can choose between flat front pants or a subtle pleat (which is honestly acceptable on a tuxedo pant.) You want your dad to look good, but also be comfortable. This suit achieves both. 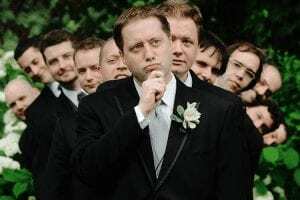 Getting married is a serious, solemn event. But it’s also a chance to cut loose at the most awesome party of your life. 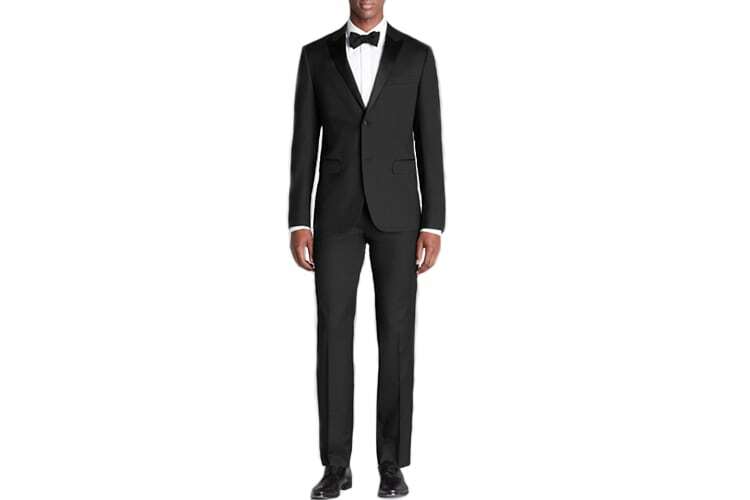 This Bonobos tuxedo is for that part of the evening. With a slight stretch that ensures you’ll really nail that Russian kick dance, this tuxedo looks sharp, without being stuffy. 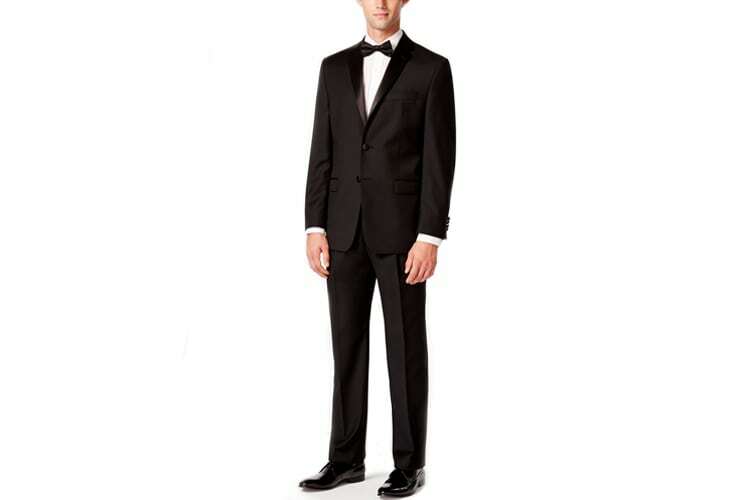 If you’re the one getting married, you want your tux to stand out. 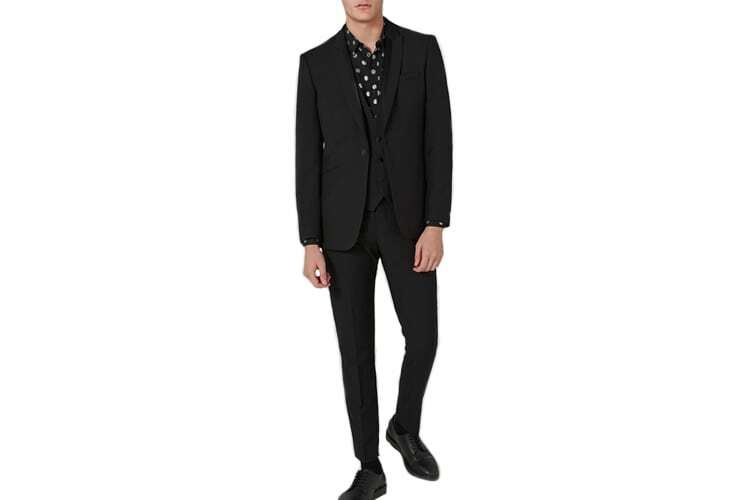 This Topman number allows you to up your game without looking buttoned-up. The skinny fit and modern lapel are going to make all your accessories look upscale as well. You thought double-breasted went out with the Wall Street crash of ‘87? Well, the “DB” is back in a big way. It has even made it’s way into the black tie arena, and judging by the look of this one from Suitsupply, it’s going to be here a while. A soft shoulder and a strategically unbuttoned bottom button are the key to making this look modern and stylish, not something from a low-budget Mafia flick. 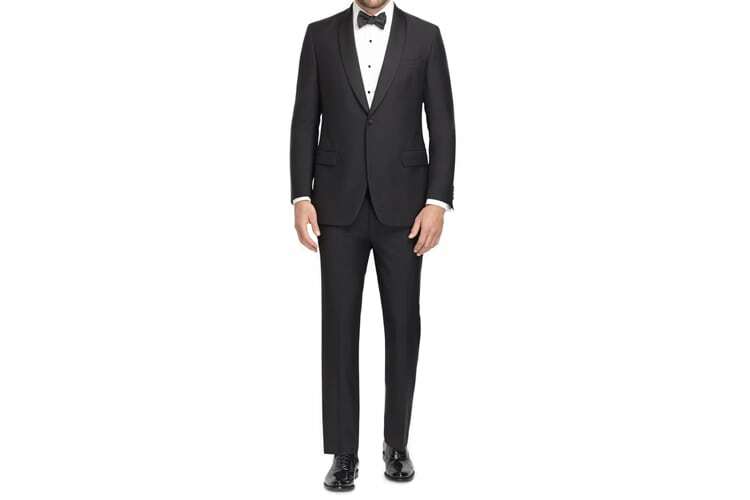 As the shawl collar tuxedo has become more popular, there are many variations – super wide lapels, various fabric pairings –this one from the classic American designers at Brooks Brothers sets itself apart with its refreshing simplicity. 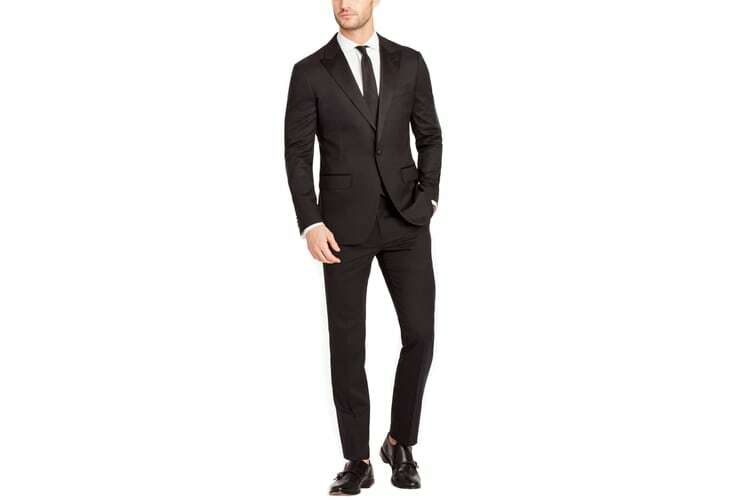 The slim lapel and the tailored body keep you looking trim and fit. 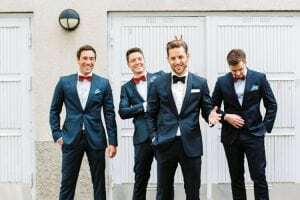 Tuxedos are not an investment that everyone has the luxury to afford. But if you can, you’ve got plenty of options to choose from.